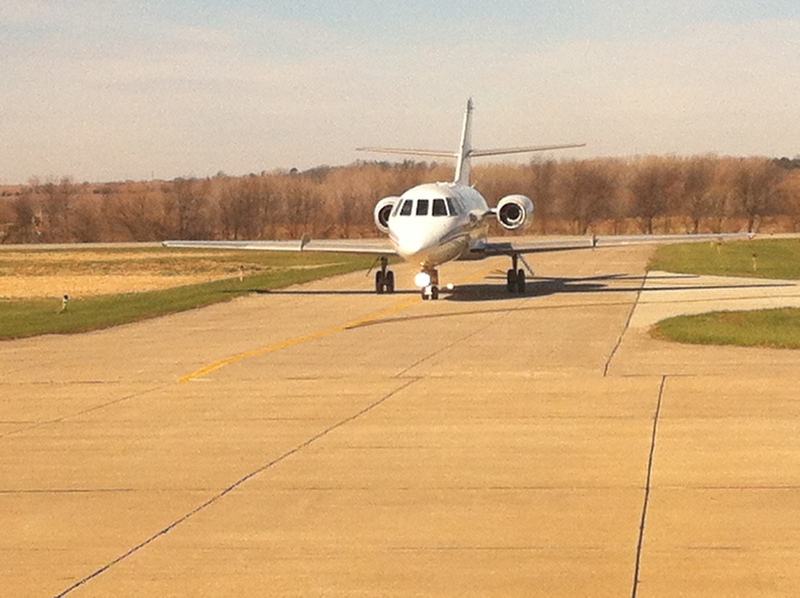 A military honor guard carries Brandon Buttry’s casket from the airplane that brought him home to Shenandoah, Iowa. After my nephew, Brandon Buttry, was killed in Afghanistan earlier this month, I played a role no one ever anticipates: handling media requests about a loved one’s death. Relatives of fallen troops who want to help the family deal with the media. (If my advice is helpful, I hope they will find the post through search or by someone sharing with them when they need it). Journalists (the usual readers of this blog) who may cover military deaths. Apologies to email subscribers to my blog, who kind of got spammed Sunday when I was trying to update my blog post about the cheeseburger salutes to my nephew, Brandon Buttry. Brandon was supposed to come home to Fort Lewis, Wash., Friday, but he was killed in Afghanistan Nov. 5. The meal he wanted to celebrate his return with was a cheeseburger, fries and a large Coke. Facing a difficult day on Friday, Brandon’s parents, Don and Pam, asked friends and family to remember Brandon with a cheeseburger, fries and a large Coke. Brandon’s sister, Missy, and I passed the request along on Facebook and more than 100 family, friends and strangers who were touched by Brandon’s story and honored his service joined in the salute, which we continued through the weekend. Storify was not updating the version of the first post on my blog. I did the first few updates by cutting and pasting from new posts into the original post, which worked OK, though it sent out new email notices each time to my blog subscribers. That was bad enough, but then Sunday Storify was giving me error messages and telling me to try again, which I did, but it was really posting multiple error messages to my blog. So I’m doing one last update here in a separate post. If you continue the salute this week, post it to my Facebook wall or tweet me (@stevebuttry), and I will share your salutes there, but this is the last group of salutes I will compile on Storify and my blog. We start with Sonya Sorich, who has saluted Brandon before. Here’s my cheeseburger tribute to Brandon. I’m wearing my fallen hero race tag from the Soldier Half Marathon. Here’s where we’ve seen that bib before. Thanks, Sonya Sorich, for running for Brandon! And congrats on finishing the Soldier Half Marathon! Sonya (who had never met anyone from the family before) wrote a column about running that Half-Marathon (outside Fort Benning, where Brandon went to boot camp). Nov 13, 2012 … The folded piece of paper sits in a zipped pocket of my purse. Open it and you’ll see prominent bold writing: Pfc…. Google “cheeseburger salute” and you will learn that Pfc. Brandon Buttry, nephew of Daniel Buttry and of Steve Buttry, planned to eat a cheeseburger and fries when he came home from Afghanistan. He was killed 10 days before he was due to come home. Friends and family around the country are saluting Brandon with cheeseburgers of their own. 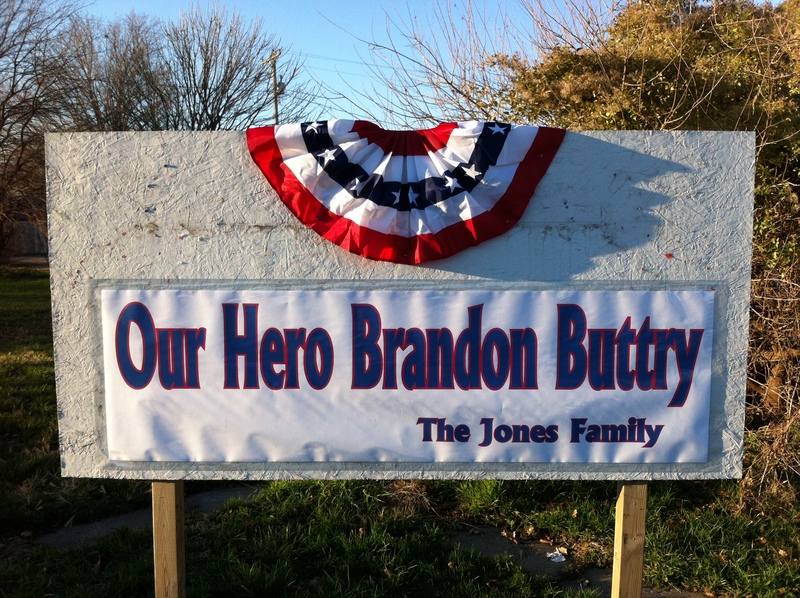 Pfc Brandon Buttry was killed in Afghanistan on Nov. 5, 10 days before he was scheduled to head for home. He’d been looking forward to a burger and fries so this weekend, hundreds of us have participated in a cheeseburger salute in his memory. Thanks Steve Buttry for your posts and for your nephew’s sacrifice. Had cheeseburgers, fries and a coke last night for dinner. Didn’t get a picture though. Fast food takes on a new meaning now. 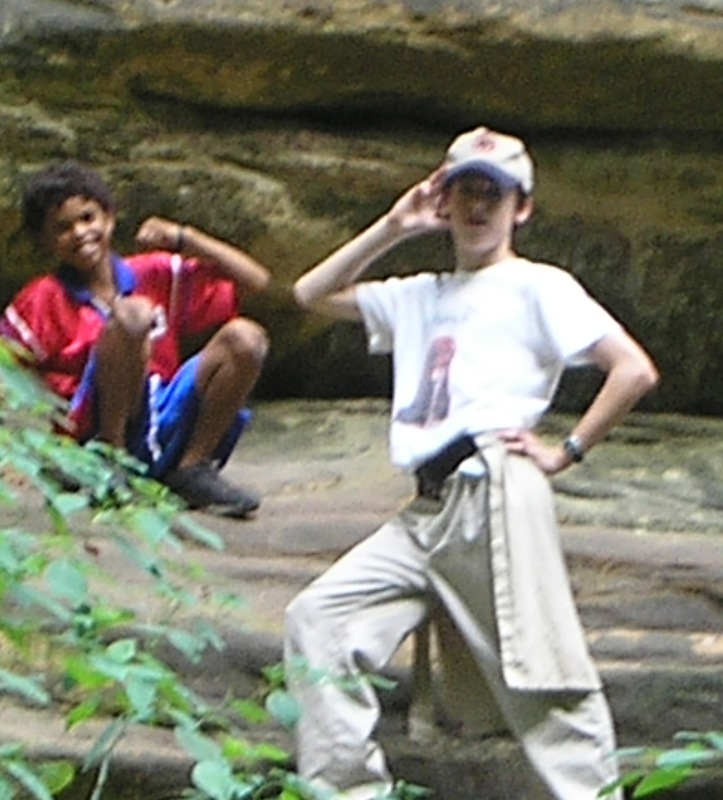 Johnny Wells II and I will be saluting on Tuesday when he is off with some home ground beef burgers on the grill. As close to Iowa as we could get…by grinding it ourselves. Friday was going to be a tough day for Brandon Buttry’s family. It was the day they were supposed to greet him on his return to Fort Lewis, Wash. But he died Nov. 5 in Afghanistan. Still the family found a way to smile on this difficult day. My family has had an emotionally exhausting month since my nephew, Pfc Brandon Buttry died in a watch tower in Afghanistan. The Army doesn’t want troop movements mentioned publicly, so we refrained from disclosing an agonizing detail of the death: Brandon was killed 10 days before he was supposed to leave Afghanistan. 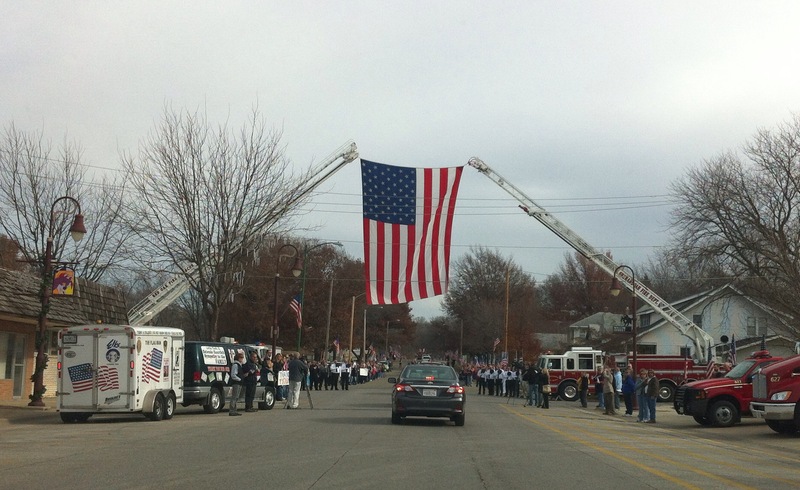 His funeral in Shenandoah, Iowa, was on the day he was supposed to head home. His parents, Don and Pam, were making plans to travel to Fort Lewis for his return home, scheduled for the day after Thanksgiving.When I talked with Don on the phone Thanksgiving Day, I could tell that Friday was going to be a tough day for the family. They were planning to drive to Pella, Iowa, to spend the day with their adult daughter, Mandy, and her family. By the time they got to Pella, they had a great idea. They emailed family and friends, telling them Brandon had said he wanted to celebrate his return to Fort Lewis with a cheeseburger, an order of fries and a large Coke. They asked us to enjoy a cheeseburger, fries and a large Coke in his honor. Their daughter Missy Rock and I shared the request on Facebook and things kind of took off. We have more than 100 burgers photographed and mentioned here, if I count correctly, and Don tells me many more were consumed by Pam’s relatives, who weren’t asked to post them on social media. Let’s continue the burger salute through the weekend. Tag or message me on Facebook if you post a photo there. Or mention me (@stevebuttry) in a tweet. I’ll update with the photos posted Saturday and Sunday. My brother, Don, and his wife, Pam, had been planning to go to Fort Lewis, Wash., today to meet Brandon on his return from Afghanistan. He was killed 10 days before his scheduled departure. He told his parents he wanted to get a cheeseburger, fries and a large Coke on his return. Don and Pam are encouraging his family and friends to remember Brandon today with a cheeseburger, fries and a large Coke (the Thanksgiving leftovers can wait till Saturday). Mimi and I will be going to Five Guys this evening (yes, quite a sacrifice) and posting a photo of our meal. If you’re joining us in the cheeseburger tribute, please post a photo and we’ll share them with Don and Pam (who aren’t on FB). Wishing Brandon had come home safely to enjoy a cheeseburger, fries and a coke at Fort Lewis today. I’m enjoying them in a cheeseburger salute to our fallen hero. This is my wife, Mimi Johnson, who wishes I had cleaned off the counter behind her before snapping this photo (but the fries were getting cold). Duffy think he should have a cheeseburger in Brandon’s honor, too. Burgers for Brandon — with Susan Burke. Missy and her husband, Andrew, joined in. Love you BB! — with Steve Buttry. No one in the extended family understands what Brandon’s family is going through as well as the Devlins, who lost their son and brother Patrick (the same age as Brandon and probably each other’s closest cousin) in 2009. Kat Devlin and her parents, Carol and John, posted four photos from their cheeseburger salute, apparently spilling their Coke and winning points for the best use of ketchup. Our son Mike’s in-laws joined the burger salute. katie, curt, leah and i ate burgers for brandon tonight. Mike and Susie’s friends hoisted burgers in Brandon’s honor. Burgers for Brandon. — with Mike Buttry. Trevor Cohenour, a close friend of Brandon’s from basic training, who led the Soldier’s Creed at his funeral, ate a burger for his buddy and wears Brandon’s name on his wrist. Thinking of Brandon Buttry and sending love to his friends and family. — with Mary Jim Head. Thinking of Brandon Buttry and sending love to his friends and family. Enjoying the simple things and remembering Brandon — with Mary Jim Head. Here is to Brandon, I simple pleasure we will no longer take for granted. A little late and probably not the burger Brandon would have picked, but definitely eaten with him in mind. Sending love to the family of Brandon Buttry! — with Lauren Johnson. Cheeseburgers & fries in honor of Brandon Buttry! — with John Johnson and Lauren Johnson. For your service & sacrifice, the employees say thank you. Wendy’s, Toledo, OH. — with John Johnson and Lauren Johnson. ‎Mimi‘s sister, Carol Mcnamara, her husband, Mike, and Mike’s sister, Cathy Hersom, join the cheeseburger salute to Brandon. Cousins of Brandon and Don saluted as well. 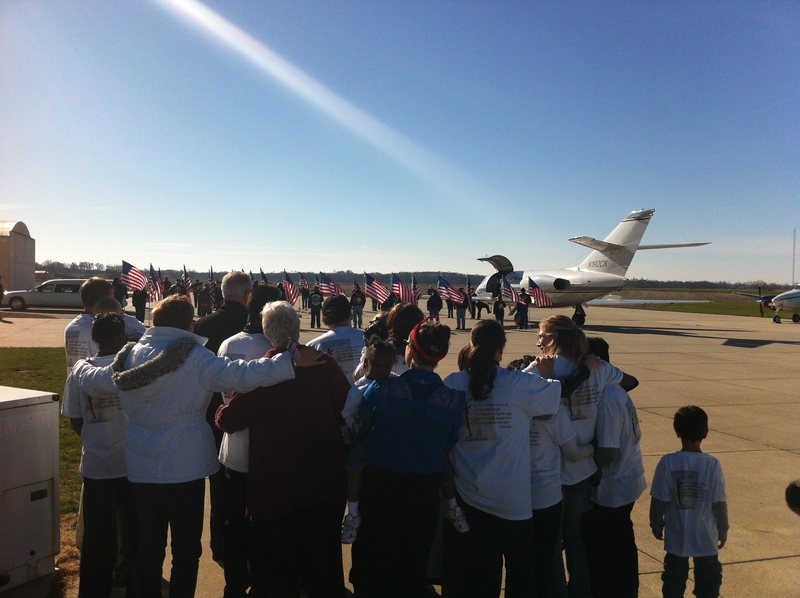 Yesterday’s the day my cousin’s son was supposed to return from Afghanistan. All he’d been telling his family was how much he wanted a cheeseburger and fried so yesterday family and friends all over the country had just that. Even a 95-year-old great aunt joined the salute from her nursing home. Adding to the cheeseburger salutes, mom was able to have a cheeseburger for lunch at her residence dining, but no fries or coke on the menu But she was very happy to be able to have a cheeseburger for Brandon. This is one of the coolest cheeseburger salutes, a whole grill in Brandon’s honor from a journalist friend and the in-laws he was visiting in Georgia (be sure to click through the full album, nine photos in all. Burgers on the grill. This was our little tribute to PFC Brandon Buttry, nephew of a friend of mine who was killed in Afghanistan earlier this month. Here’s to Brandon Buttry and his family, a black and bleu burger from Goldberg’s in Omaha. — with Steve Buttry. Thinking of your nephew and your family over a burger and fries in Lincoln, Nebraska. Prayers for you all. Friend and new media writing guru Steve Buttry lost a nephew in Afghanistan 10 days ago. His nephew was supposed to return home for the holiday and was looking forward to a cheeseburger. Steve asked us eat a cheeseburger in Brandon’s honor and post it on FB. Here’s mine, the Spiced and Smoky Burger from the Rosewood Grille in Hudson, Ohio. Feel free to share or eat a cheeseburger yourself. A slight correction to Dan’s post: I used to work at API but now work for Digital First Media. More tribute burgers for Brandon because it’s never too late to say thank you for the sacrifice he and his family made. As someone who came into this world at Ft. Lewis, a cheeseburger for #Brandon. And other friends joined in. @donw @tiffany @tbridge Thanks! Love the little flag! @stevebuttry @tiffany @tbridge apparently standard at this restaurant. It was indeed fortuitous. @stevebuttry stopped at Five Guys on way back from BWI. Didn’t think to take a photo before I ate, though. This cheeseburger salute came from a former co-worker of Brandon’s at — appropriately — the McDonald’s where they met and worked together. Our contribution to the “cheeseburger salute” for our former co-worker Brandon Buttry at the McDonald’s where we worked with him. He was supposed to come home from Afghanistan last Friday. He was excited to come home and have a cheeseburger, a large fry and a coke. So his family had this meal for him, in honor of him, on Friday ~ when he was supposed to have returned home. They got such a great response of others wanting to “salute” him also, they extended it throughout the weekend and asked others to join in, to “salute” Brandon. So, here’s to you, Brandon. We just wish you could have made it home so we could have enjoyed it together. Other family friends joined, and some people who just heard about the cheeseburger and wanted to salute a fallen soldier who didn’t get home to enjoy his own burger. Had a burger tonight in honor of Pfc Brandon Buttry. We honor and remember you today. — with Melissa Rock. Couldn’t eat one in Dallas but did in NY in his honor. Brandon Buttry died Nov. 5 in Afghanistan serving this country, 10 days before he was supposed to return home to Ft. Lewis. He planned to celebrate his return with a cheeseburger, fries, and a coke. Since he couldn’t I tried to honor and salute him by eating it for him. 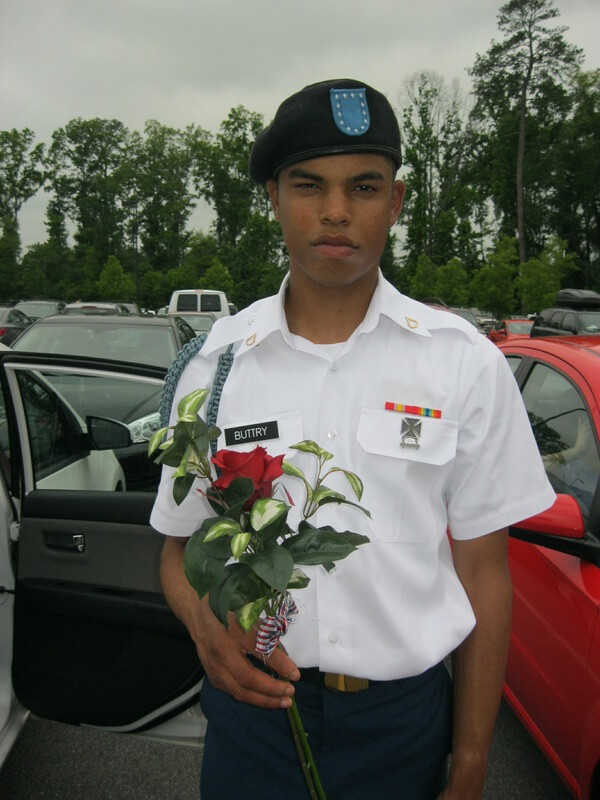 RIP Brandon, good friend, good man, good soldier. My friend Taylor, showing his loving! The salt packet reminds us of the countless fallen tears of families as they wait. The salute got a bit of notice from Brandon’s hometown media. And, of course, in Pella, Brandon’s huge family enjoyed a lot of burgers. It takes a lot of cheeseburgers and fries to feed Brandon’s family. On a day that was difficult for Brandon’s family, eating cheeseburgers in his honor brought smiles through sorrow. 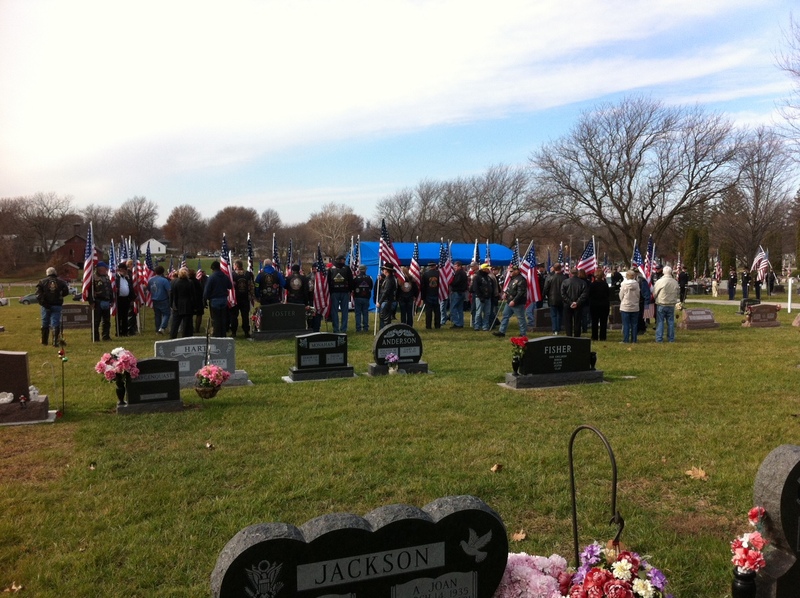 Brandon’s family enjoys cheeseburgers in his honor and thanks all who joined in this remembrance today. Maybe I missed your photo (or tweet or update noting your participation in the salute). Or maybe you’ll join us today. Either way, if you’re participating in the cheeseburger salute, let me know and I’ll add you in an update. Brandon had a great smile (below, with his cousin Patrick) and he loved a good cheeseburger. So we’re remembering him with a cheeseburger and a smile. 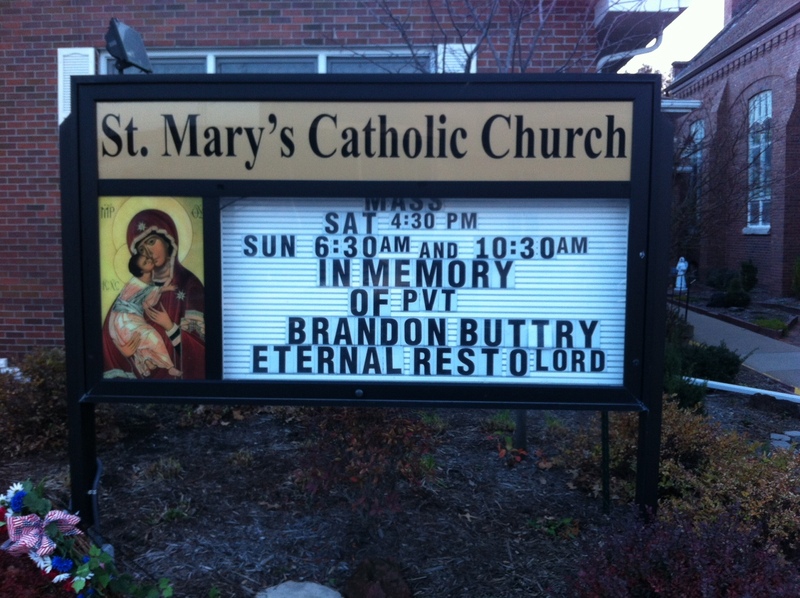 We laid Brandon Buttry to rest today. The family is exhausted and I don’t have much new to say. I’ll let photos of the past few days at Brandon’s hometown of Shenandoah, Iowa, tell the story of the grief our family feels at our loss and the gratitude we feel for the outpouring of love and support from the community and the nation. 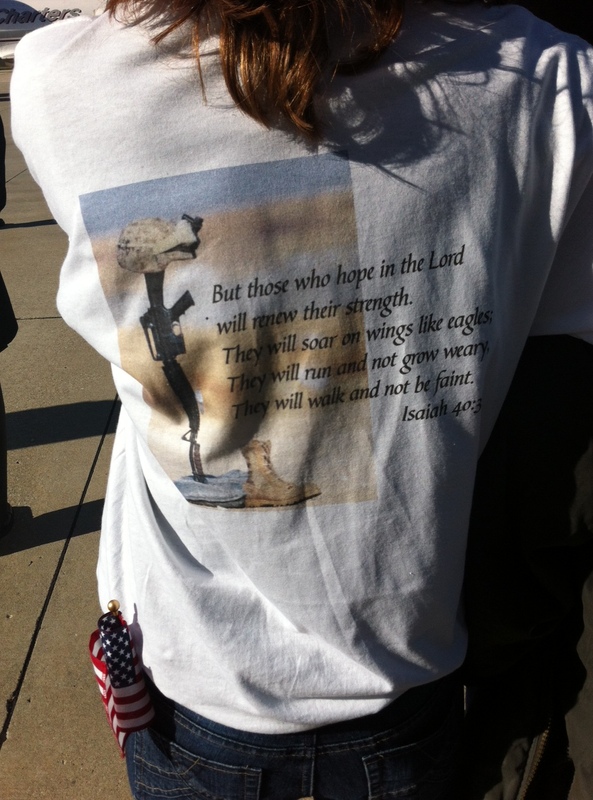 The backs of the t-shirts bore a Bible verse offering hope and comfort. Brandon’s plane landed in Shenandoah on Tuesday, eight days after his death in Kandahar, Afghanistan, a highly emotional moment for his family. 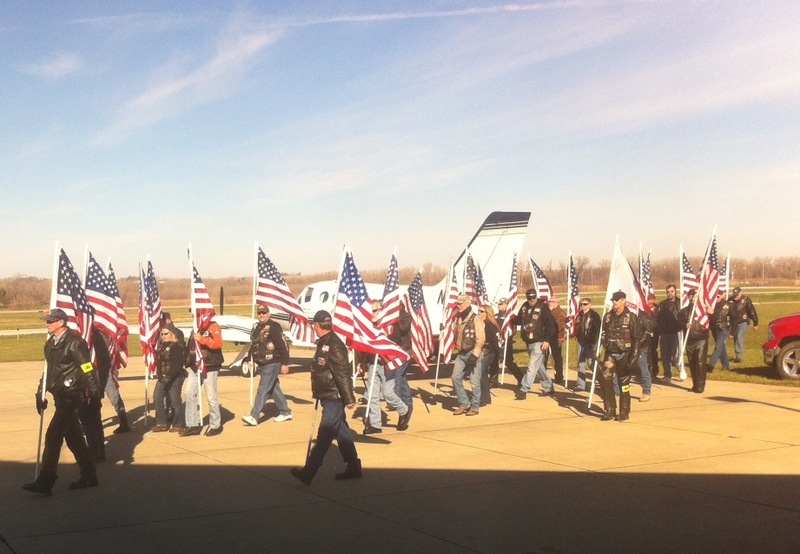 The Patriot Guard Riders — veterans who travel to military funerals to honor the war dead — showed out in force at the airport and later at the visitation, funeral and burial. Their devotion to the fallen soldier and his family was deeply touching. Monday night, Brandon’s parents, Don and Pam, gave me their remembrance of Brandon to read at Thursday’s funeral, including this passage: “You will always be with us. … We will look for that bright smile in every sunbeam.” Tuesday morning I shot this photo (no PhotoShopping, I swear) as the family waited for Brandon’s casket to emerge from the plane that brought him home to Shenandoah. 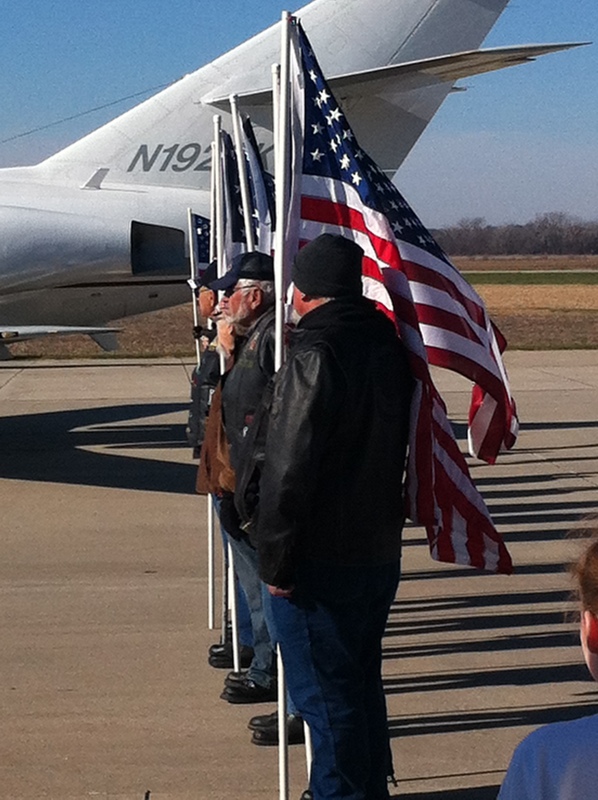 Two lines of Patriot Guard Riders bearing flags stretched out from the plane to honor Brandon as his body came home. 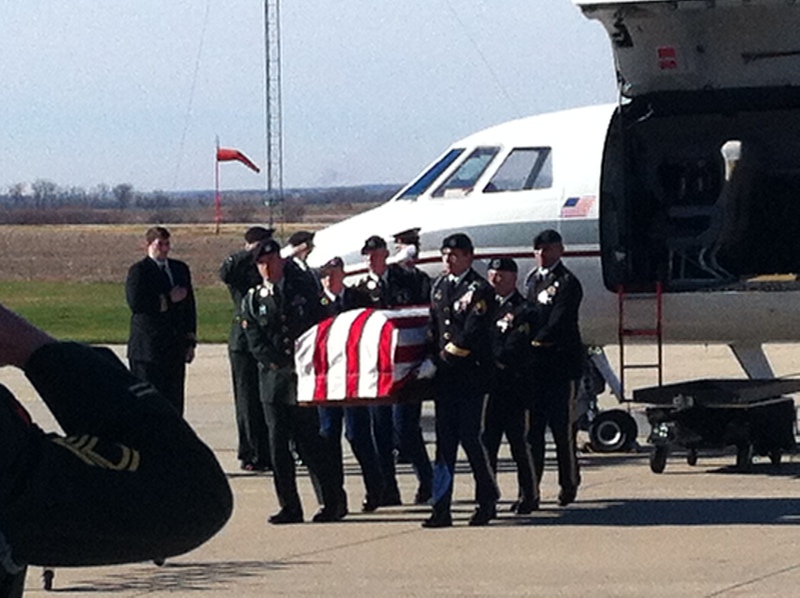 A military honor guard carries Brandon’s casket from the airplane to the hearse. 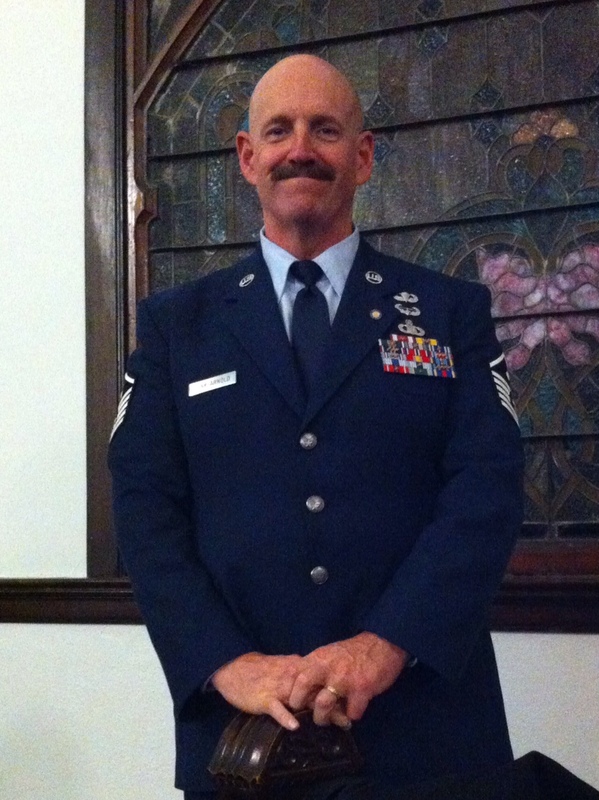 My cousin, retired Air Force First Sergeant Frank Yunk-Arnold, escorted Brandon’s body home from Dover Air Force Base and stayed for the visitation and funeral. Shenandoah got a visit from “Flagman” Larry Eckhardt, who lined the route from the funeral home to the church to the cemetery, and the lanes of the cemetery with a couple thousand American flags, assisted by local volunteers. Driving the route in the quiet of Wednesday morning was a moving experience. The photo in my blog header is just a sliver of the panoramic view of the cemetery. 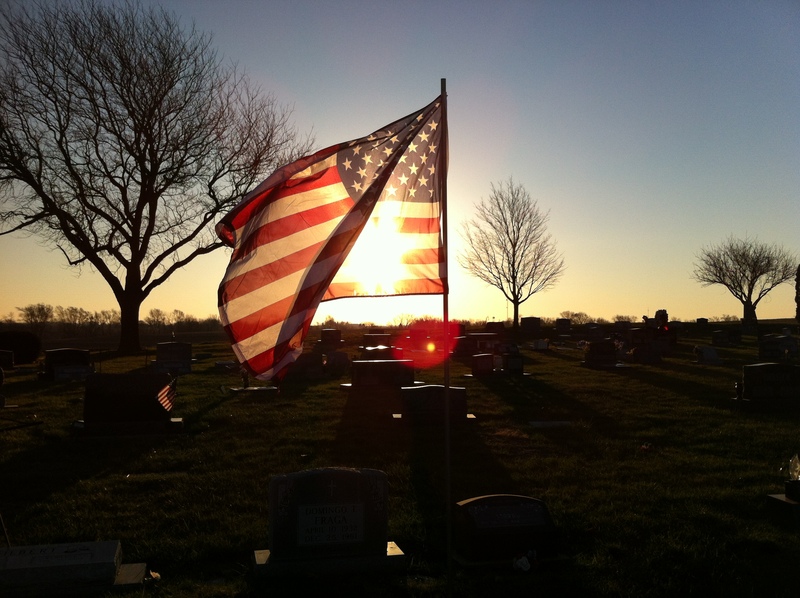 Near my father’s grave, just a short walk from Brandon’s, this flag rippled in the morning sun. Gov. 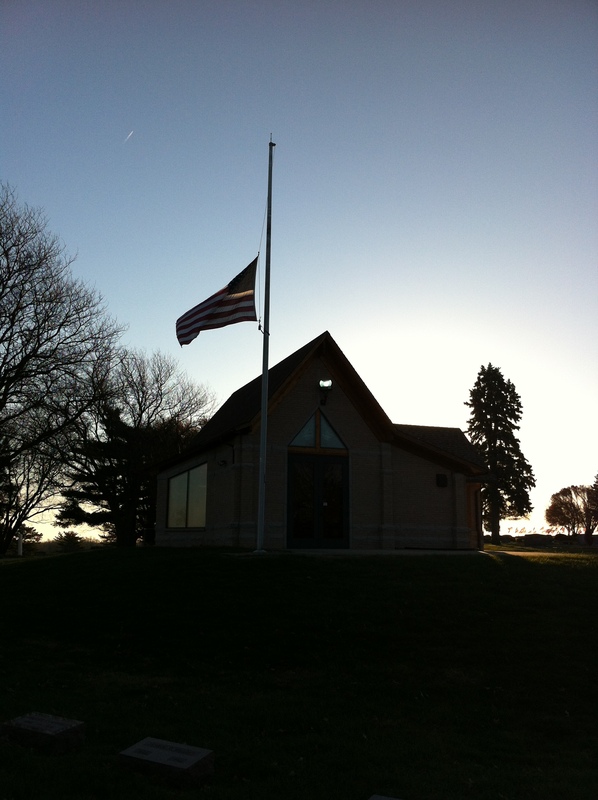 Terry Branstad ordered flags across Iowa flown at half-staff Thursday. Flags in Shenandoah were lowered all week, including this one at Rose Hill Cemetery, where Brandon was laid to rest Thursday. All across Shenandoah, signs and window displays expressed support for Brandon and his family. The church where Mimi and I were married 38 years ago was among those expressing support for Brandon and his family. The Patriot Guard contingent kept growing. I heard that 150 would be there Thursday. It seemed like at least that many, maybe more. 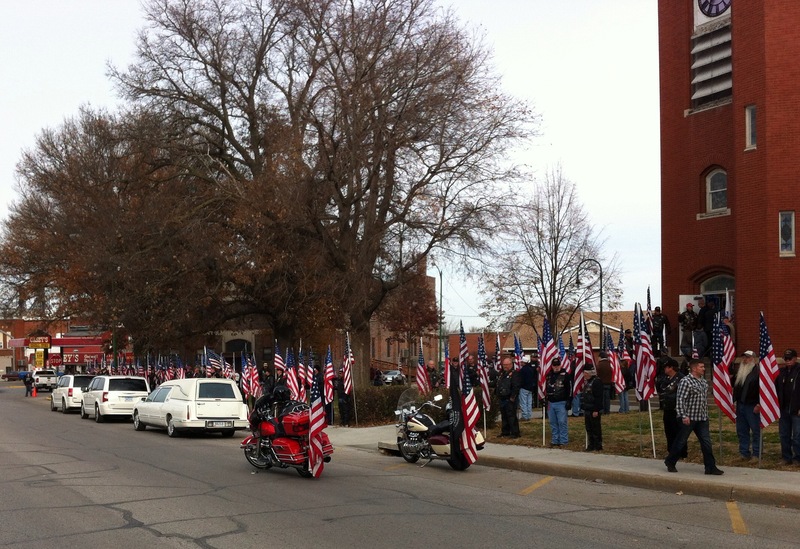 They lined the sidewalk outside the church. A vile, attention-seeking cult posted plans on its website to picket Brandon’s funeral. Thankfully, they never materialized. 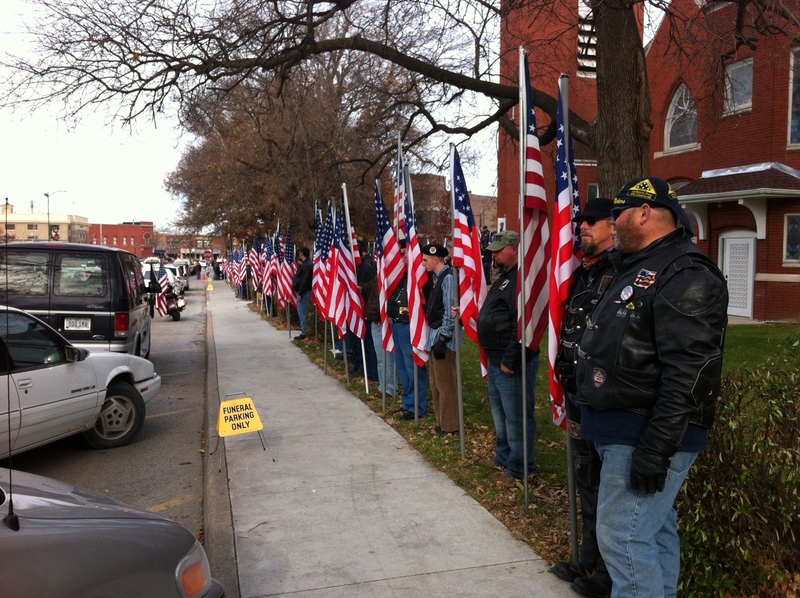 They would have been drowned out by the Patriot Guard’s Harleys and their signs blocked from our view by sheets and signs expressing thanks for Brandon’s service. And their hatred would have been overwhelmed by the love this community showed. This is the sidewalk across the street from the church. More flags outside the church, First Baptist Church in Shenandoah, Iowa, where my father, Brandon’s grandfather, was pastor from 1970 to 1976. 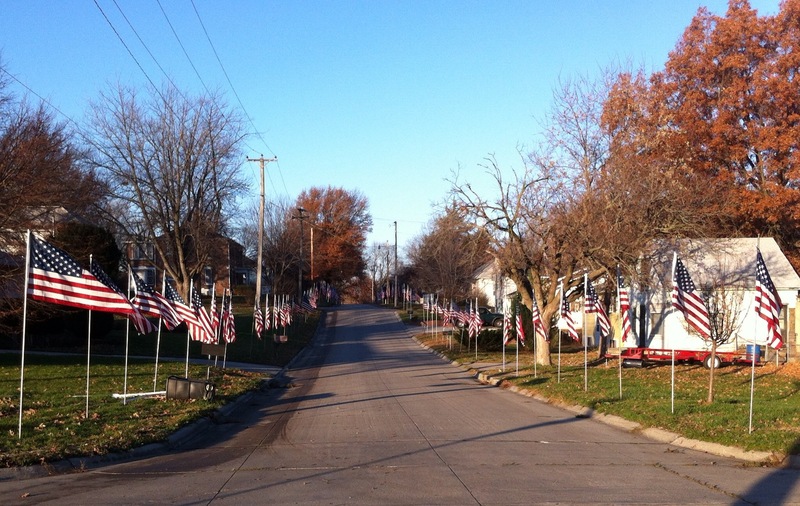 As we drove from the church to the cemetery, the flags, signs and people lining the street gave me chills. That’s the Flagman’s truck at the left. 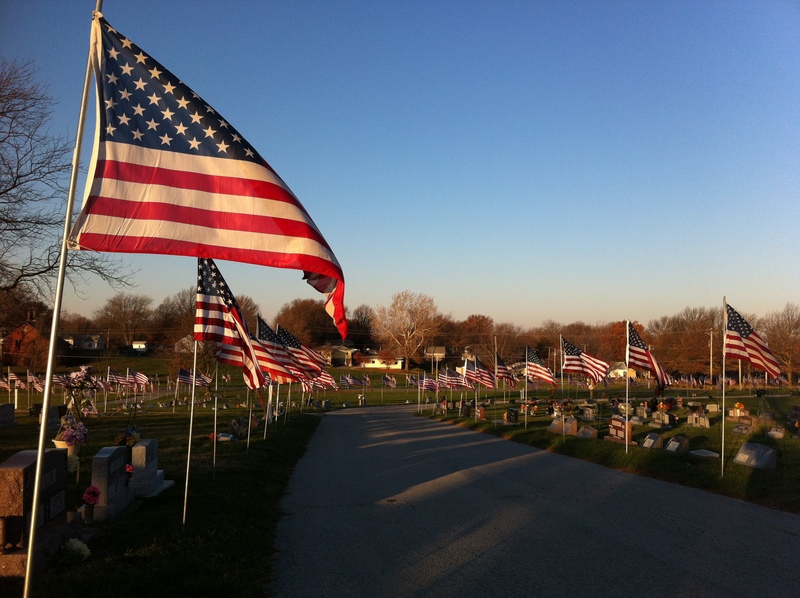 Still more flags and more stirring scenes at the cemetery. 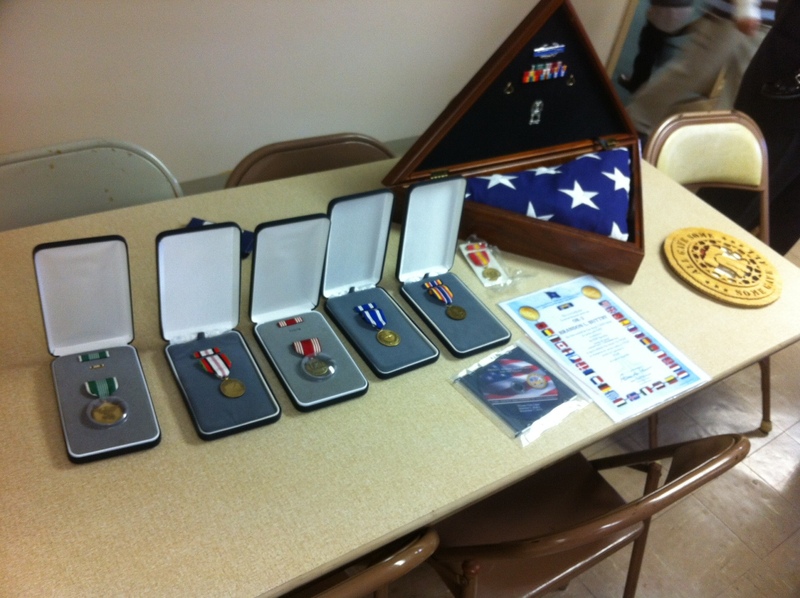 Brandon’s medals and the flag that covered his casket. I didn’t shoot photos during the funeral and burial. The Des Moines Register, Omaha World-Herald, KMA Radio and Omaha TV stations WOWT, KETV and KMTV covered the funeral and KMA also interviewed me Wednesday. Sonya Sorich of the Ledger-Enquirer wrote about running for Brandon in the Soldier Half-Marathon at Fort Benning, Ga., where Brandon completed basic training. If you haven’t read my previous blog posts about Brandon, I wrote about a family reunion when he was 13 and about his dignified transfer ceremony at Dover Air Force Base. I also discussed the Dover ceremony in a KMA interview. Update: I have compiled much of the media coverage into a Storify account (originally posted Nov. 8, but updated and reorganized Nov. 18). I also compiled photos from various sources on a Pinboard in Brandon’s memory. I thank the journalists who covered Brandon’s death, return and funeral for their compassion and professionalism in covering this story. Brandon’s family was overwhelmed by the community’s response and the response from all over the country. Anyway, we chatted again and again, usually exchanging just a line or two (often about what was up, naturally). What was up was that Brandon was fighting our nation’s longest war. And now he’s one of its casualties. Monday morning my brother, Don, and his wife, Pam, got the visit that parents of the men and women serving in the military dread most. 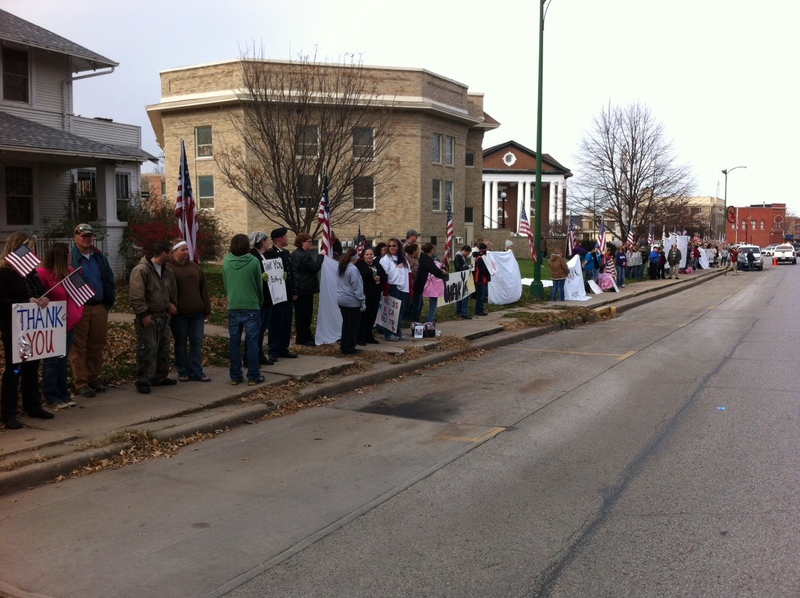 Soldiers were at their door in rural Iowa with the news that Brandon had been killed in action in Afghanistan. Don’s and my father, Luke Buttry, was an Air Force chaplain during the Vietnam War, though he never was stationed in Vietnam. His worst duty was to be the bearer of that heartbreaking news when a son or husband would not be coming home. My generation in our family didn’t serve in the military. I was in the first age-group not drafted when we turned 19. We still had the draft lottery for people born in 1954, though. My number was 9, so I would have been called if the draft had continued. I applied for 1-AO status, meaning I was a conscientious objector who would not bear arms but would serve in a non-combat role. Until they dropped the draft, I was wondering whether I would be a chaplain’s assistant or a medic. Instead, I was a civilian journalist and happy about that. Brandon’s father, Don, was two years younger than me, well past the end of the draft and not interested in volunteering. Our older brother, Dan, was a conscientious objector but had a high draft number and is a peace missionary. He was in Asia leading a 10-day conflict management seminar for religious leaders and peace activists when I called him Monday with the news of Brandon’s death. We talked about what a happy, fun kid he was. We exchanged memories of our Facebook chats with him, often starting with a “sup” from Brandon.